3D Virtual Shopping Experience in Dubai Metro stations Relax! 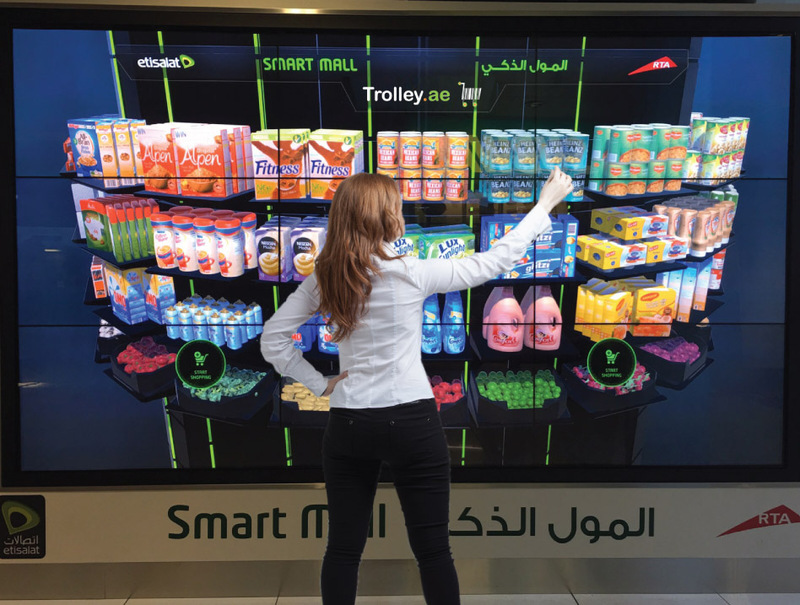 Stay away from the traditional market hustle and bustle, in few touches, Smart Mall will take you to a journey to experience the first 3D Virtual grocery shopping in the Middle East. Today, the Smart Mall will make shopping easier than it has ever been. With a quick and easy experience that won’t take longer than a few minutes, passengers can choose their groceries and all their family’s needs, all items will be delivered to the address and time of your choice. Then simply hop on to your metro train and continue your journey knowing that your grocery shopping needs have been taken care of.